Between 1914 and 1919, the 5th Northern General Hospital, with more than 2,600 beds, occupied several buildings in Leicester and North Evington. More than 95,000 officers and men were admitted to the hospital, which recorded 514 deaths before its closure. 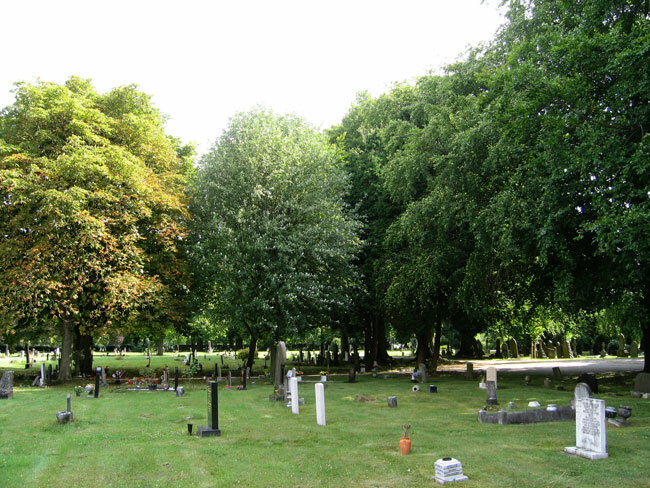 Leicester (Gilroes) Cemetery contains 110 burials of the First World War and 160 from the Second World War, all of them scattered throughout the cemetery. There are two graves of Yorkshire Regiment soldiers in this cemetery. 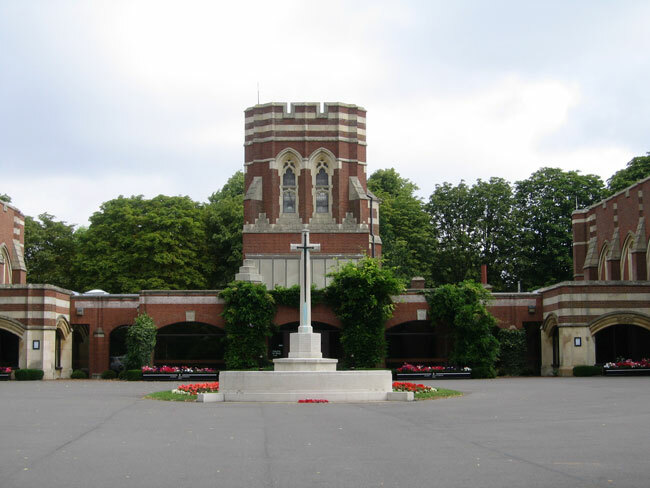 Within the cemetery stands the Leicester City (Gilroes) Crematorium, in front of which a screen wall commemorates 31 servicemen and women of the Second World War whose remains were cremated there. We are extremely grateful to Richard Roberts (<richard@nosnailshere.co.uk>) who has forwarded photographs of the cemetery, and the graves of the two Yorkshire soldiers in the cemetery. Details of the two soldiers are to be found beside the photos of their headstones. Private G H Blockley. 29862. 13th Battalion the Yorkshire Regiment. Son of Charles and Hannah Mary Blockley, of 36, Burley's Lane, Leicester. Serjeant Frederick Thomas Smith. 42710. 3rd Battalion the Yorkshire Regiment. 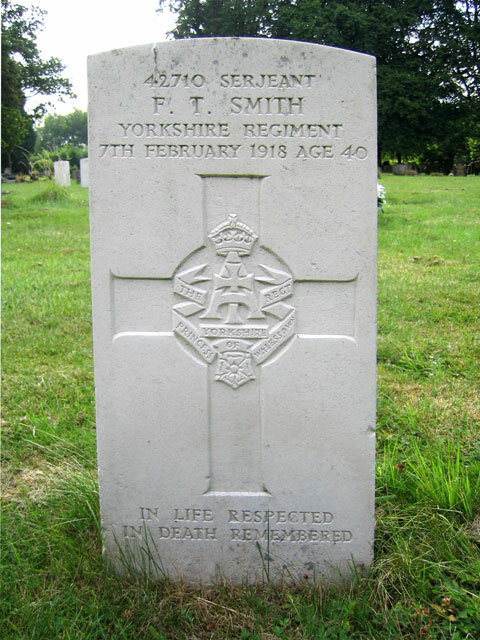 Husband of Alice Smith, of 134, Crafton St., Leicester. Born Whitechurch (Salop), Enlisted Manchester, Resided Leicester. Died at home 7 February 1918. Age 40. 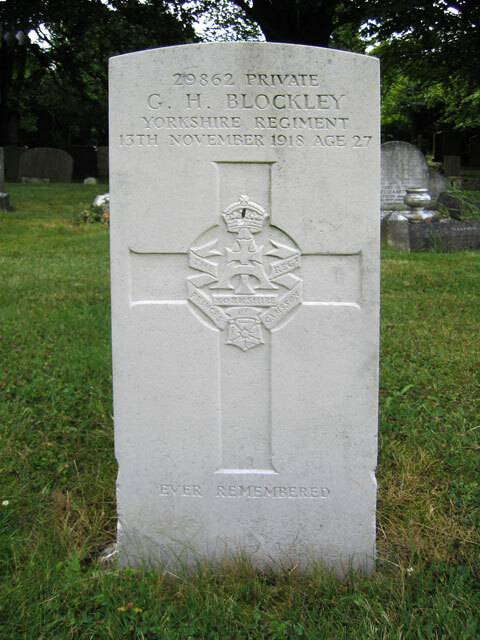 Leicester (Gilroes) Cemetery with Pte Blockley's Headstone (the right hand headstone of the centre two). 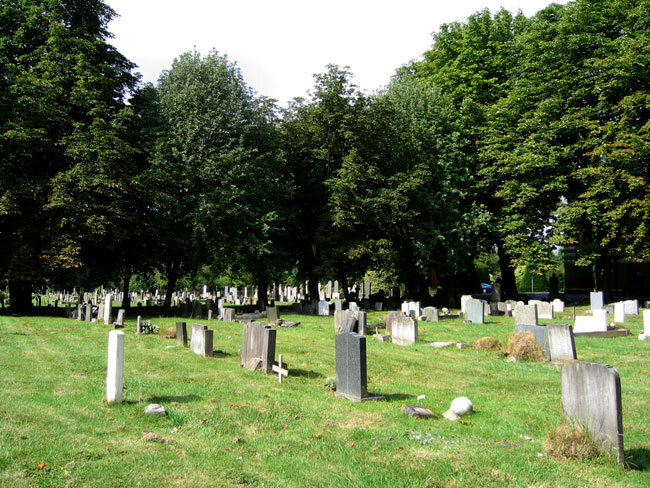 Leicester (Gilroes) Cemetery with Sgt Smith's Headstone (the headstone in the left foreground of the view).